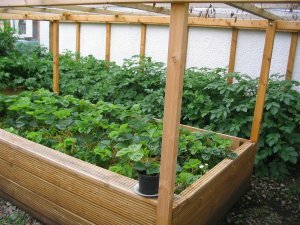 This page is devoted to an OAP's attempt at making a raised bed garden. 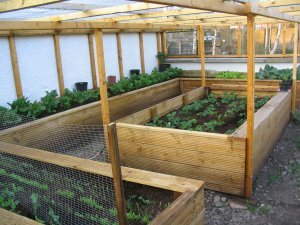 Euilleam gardens in the Highlands of Scotland so the covering on his raised beds is essential to get a head start on the growing season and also extend it. 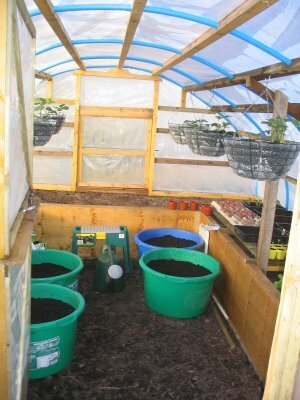 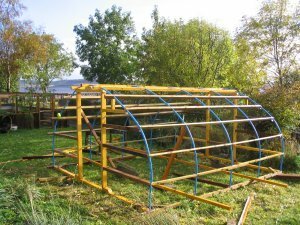 As the pictures below show, the raised bed and the covering are all homemade, a triumph of economy and durability. 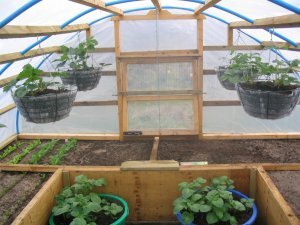 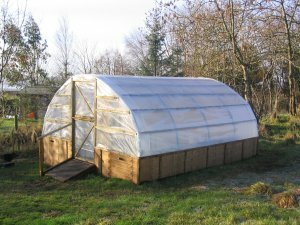 Each picture below of the covered raised beds is self-explanatory but it is interesting to note that the pictures of the interior were taken in April. 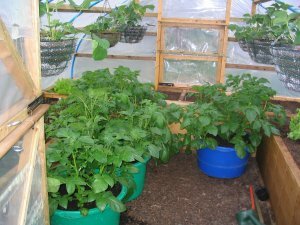 Look at the size of those potato plants so early on in the season!